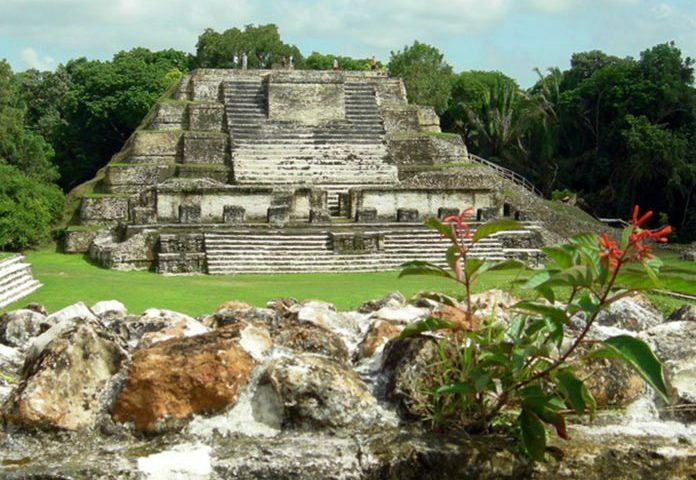 All Posts in "Canada Transfers"
Ichkabal The New Mayan Ruins. Due to its broad architecture and the fact that it was completely unknown and well preserved for centuries, it has been a task to rescue. It consists of 5 main buildings; two of them are 40 meters-tall. 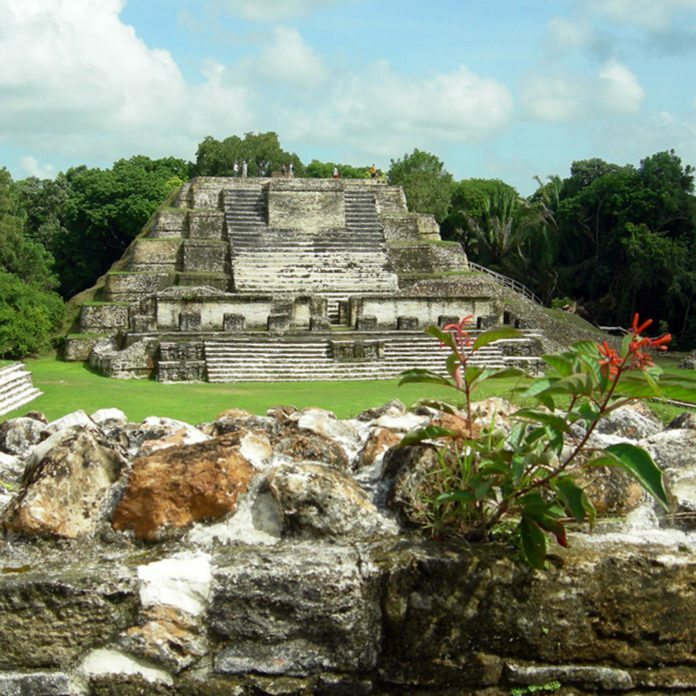 There is evidence that Ichkabal was inhabited until 900 AD, a time period during which it is believed there was a massive abandonment of Mayan cities. The site has already revealed that it might be the largest yet discovered. Its tower is higher than the previous record height discovered in Chichen itza. 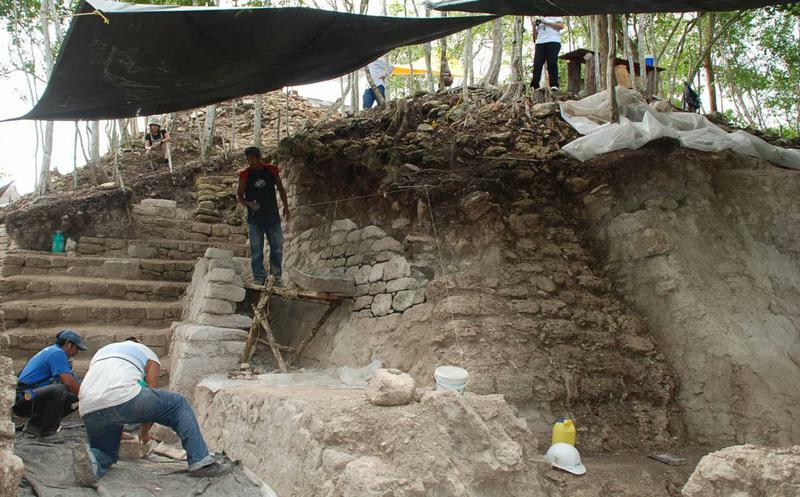 Ich kabal was initially discovered in 1995, but it was not until 2009 that funding began to excavate the site. Small groups have been able to tour the site privately since 2011. When it does open, only a very small portion of the area will be excavated and open to the public. This site sits on local ejidos which belongs to communal lands holder that have owned the land for generations, and they will receive compensation from the Mexican government by the impacts caused in the area. 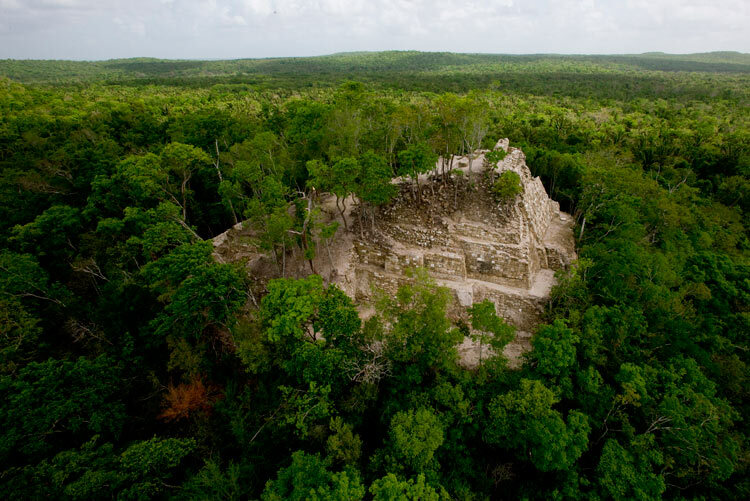 Ichkabal is located inside the thick jungle and will provide in addition to archaeological tourism, a vast area for eco-tourism activities such as hiking, wildlife viewing, biking and Cenote Adventures. So if you are a vacation archaeologic, you might want to put Ichkabal on your schedule for the near future. 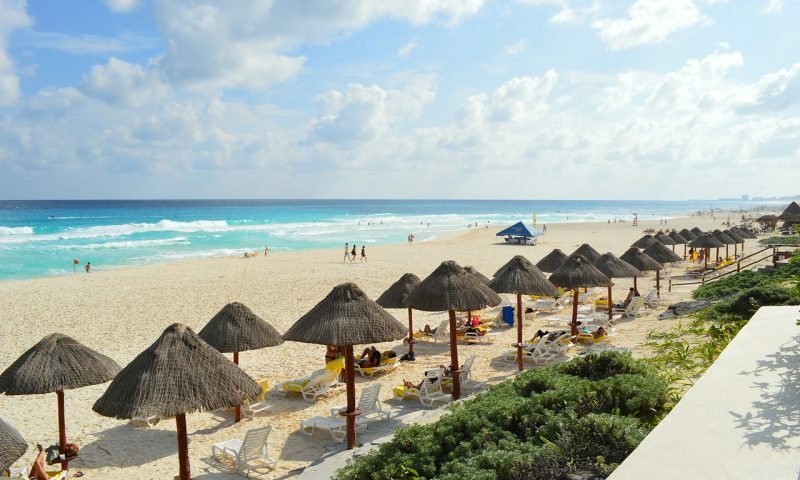 The Mexican city of Cancun located on the Yucatan Peninsula, has a humid tropical climate. 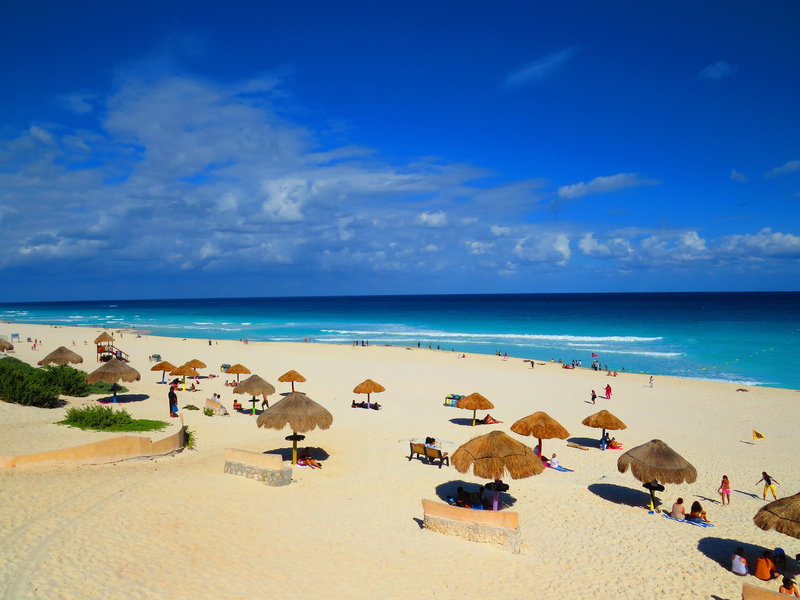 The average temperature in Cancun is between 75°F and 77°F. Although the high humidity can make the sensation to be warmer. During the summers the maximum can reach 95°F without any problem, while the minimums do not usually drop from 62°F in January. 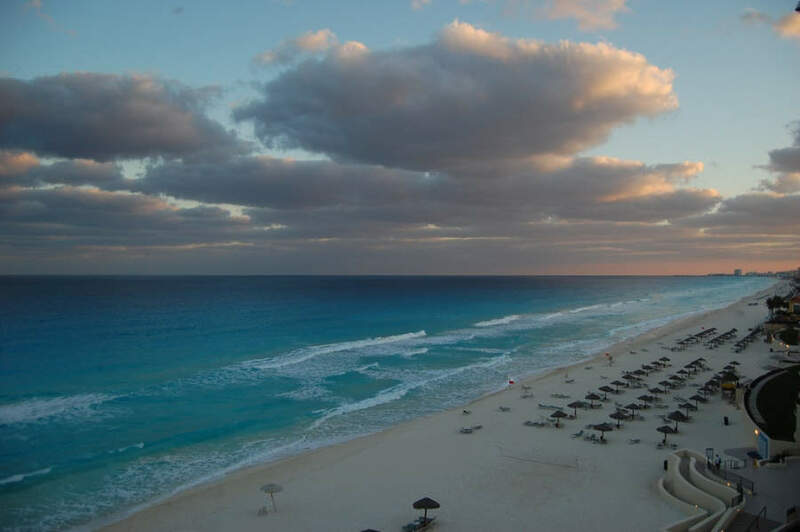 It is characteristic of the climate of Cancun its high level of precipitations. Being a tropical climate differs from a dry season and a rainy season that is the one that concentrates 75% of the annual rains approximately. Although they are usually unforeseen rainstorms that leave a lot of rain in a short period of time and the sun comes out again. The typical behavior of these rainfalls are typical of this tropical climate. The average temperature during these months is around 82°F. During the day the maximum can reach values of 95°F. And at night usually stays at 71°F. August is the warmest month of the year. October is the wettest month of the year, and during this season the probability of encountering hurricanes and tropical storms is high. The weather in Cancun is quite strange and unpredictable. It is common that at the same time, it is raining hard in the center of the city while, a few kilometers, is making a radiant sun. A fact quite common in coastal cities of tropical influence. 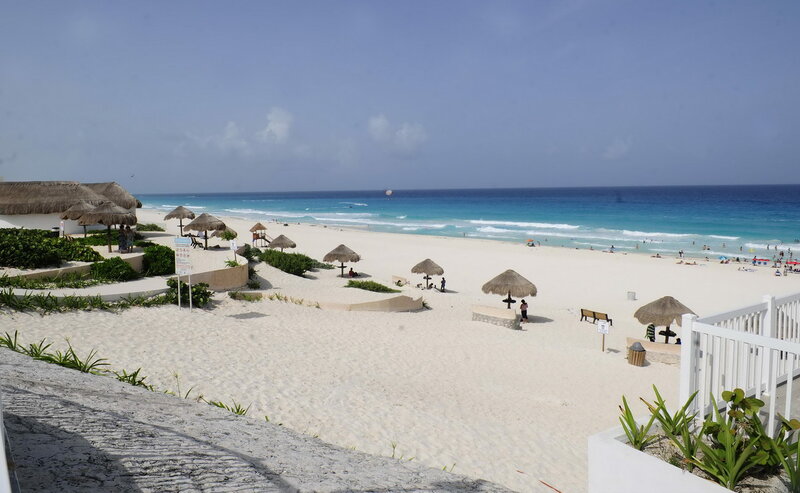 The climate in Cancun during the dry season is softer and cooler. The average temperature is around 75°F. The maximums can touch 86°F while the minimum oscillate between 64°F to 68°F. January is the coldest month with an average temperature of 71°F. 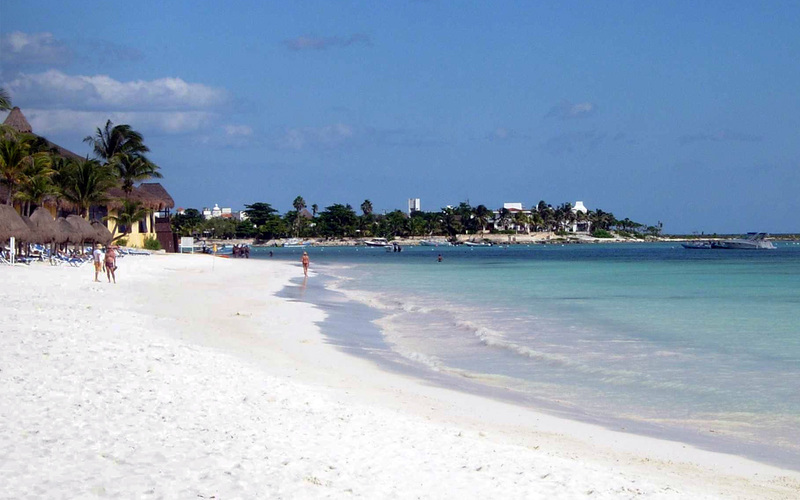 The Most convenient Supercenters in Cancun and Playa del Carmen. Each day increases the number of tourists who come to stay in houses or apartments (B & B) in Cancun and Riviera Maya, instead of staying in hotels.This results in people having more freedom and comfort where they stay. Usually these places are equipped with all the services that the tourist needs. 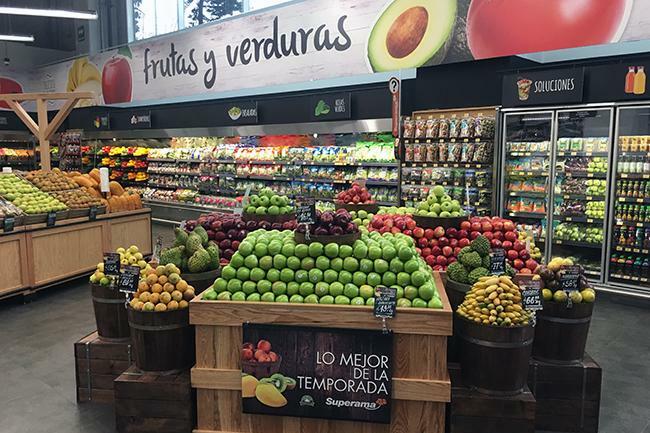 This means that the tourist needs to know which are the best supercenters to make their groceries, where they can find everything they need at the best prices. 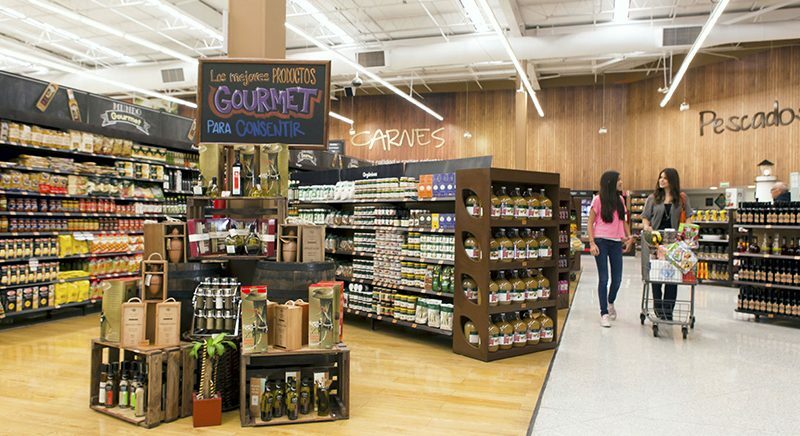 In Cancun you have the following supercenters that are the most recommended for your groceries. WAL MART: It is similar to the stores in USA and Canada, and they have a good selection of items. Prices are comparable to US prices. 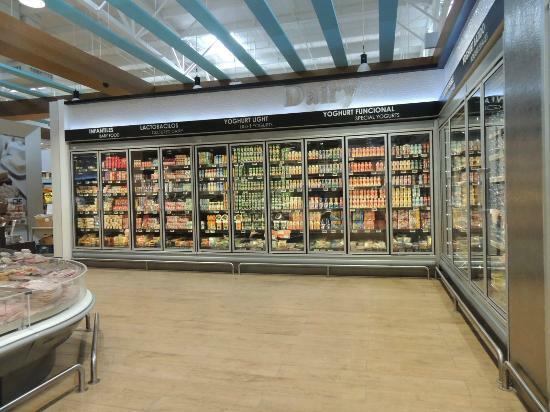 SUPERAMA: This is a small and quiet supermarket with a special selection of food and beverage products. SAM’S CLUB: Your Sam’s Club Card Works in Cancun and Playa del Carmen, They take USD dollars, and you can find some different items. 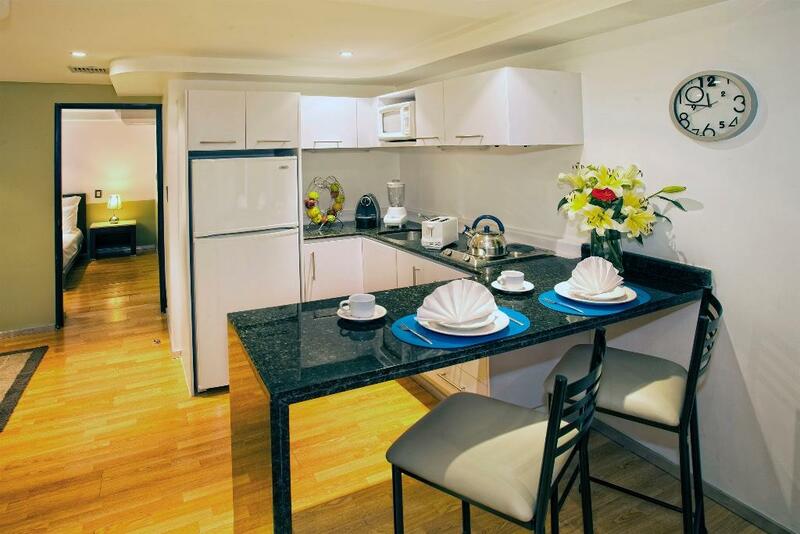 CHEDRAUI: This is an excellent supercenter to make your groceries and the best of all that is located in the Hotel Zone of Cancun. They accept dollars. COMERCIAL MEXICANA: This is one of the most traditional Mexican supercenters, with great variety of items and good prices. 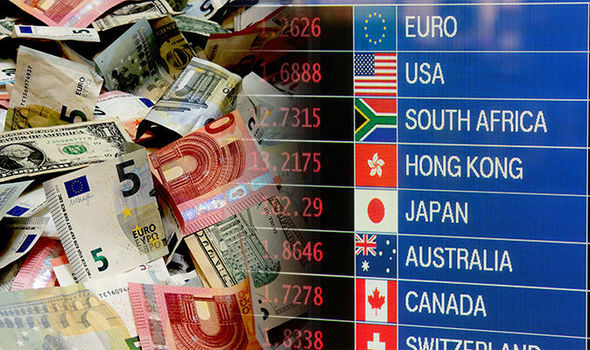 They accept US dollars. SORIANA SUPER: This is a convenient supermarket for your groceries located in the hotel zone of Cancun at the Kukulkan Mall. They have good prices and a wide variety of items. They accept dollars. 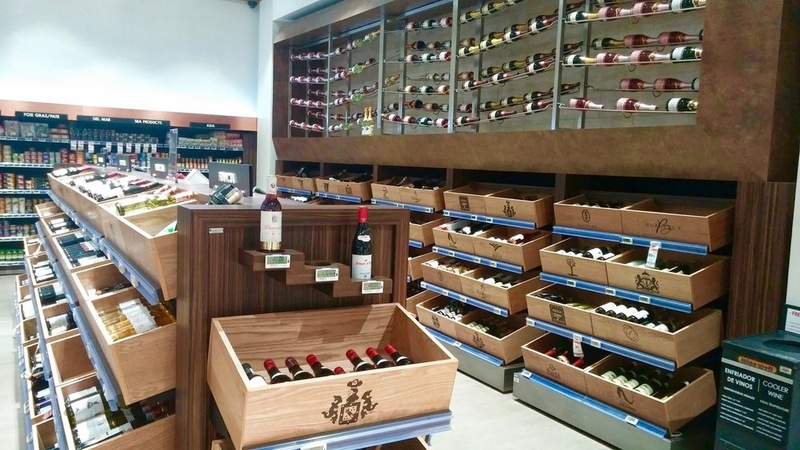 LA EUROPEA: This is one of the best known gourmet and delicatessen chains in Mexico. Among its extensive catalog of products are wines of all the denominations of origin, the best Mexican tequilas, and mezcales. Whiskey, rum, cognac, brandy and many other liquors. They accept dollars. In Playa del Carmen you find the same chain of Supercenters than Cancun. 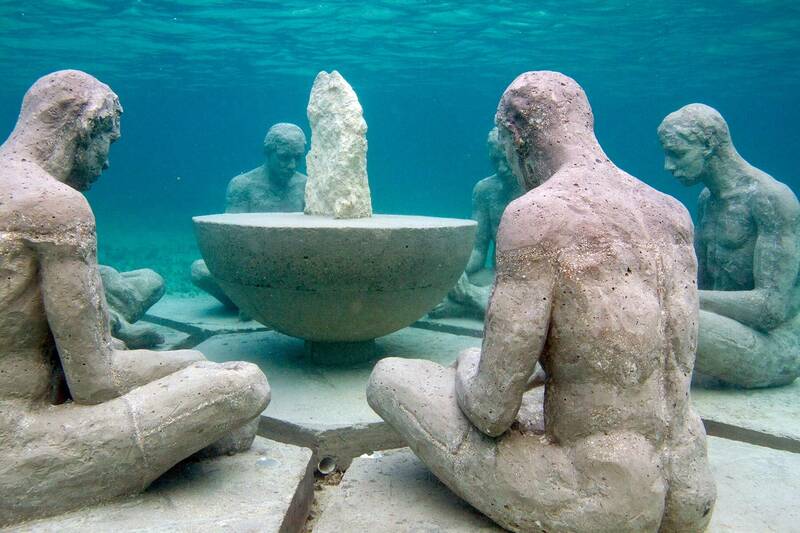 The interesting Underwater Museum Cancun. 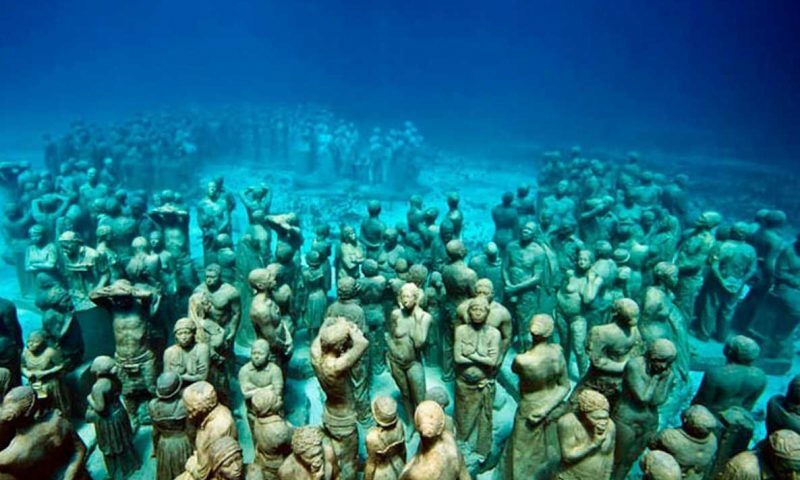 One of the best tour you can do in Cancun is snorkeling or diving in the Underwater Museum Cancun and watching over 460 underwater statues. 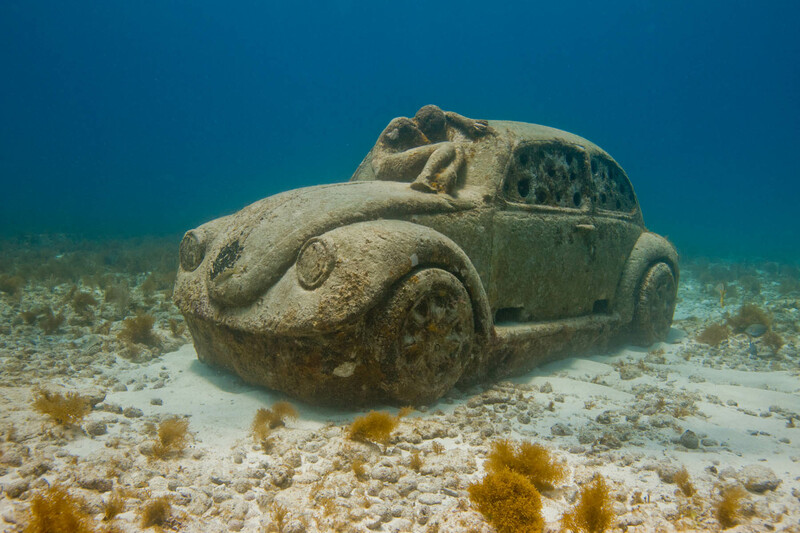 This Underwater Museum Cancun was created in 2009 and completed at the end of 2013 in the waters surrounding, Cancun, Isla Mujeres and Punta Nizuc. The sculptor in charge of making most of these statues was the English Jayson De Caires Taylor and the others by five Mexican sculptors. Currently the museum has over 500 permanent life-size and monumental sculptures and is one of the largest and most ambitious underwater artificial art attractions in the world. Three galleries have been created. Two underwater and one on land. 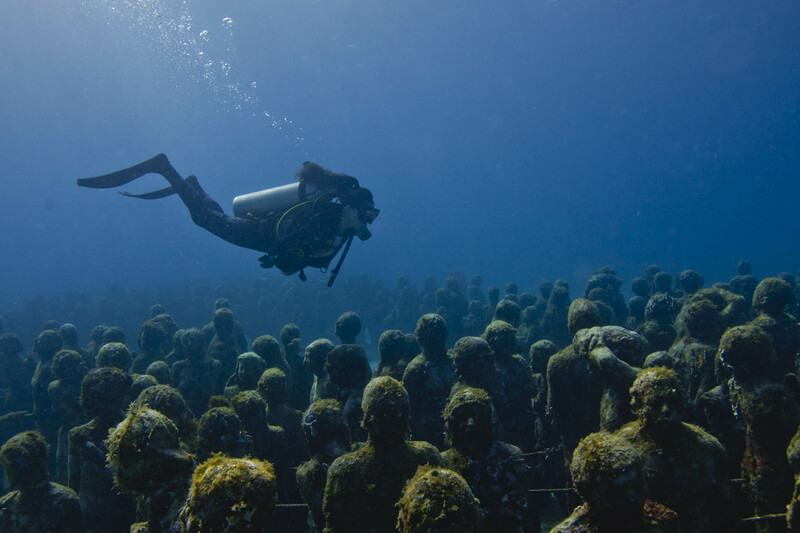 Manchones reef with 477 sculptures. This reef is 8 meters deep and suitable for divers and snorkelers. Punta Nizuc reef with 23 structures. This reef is 4 meters deep and only permitted for snorkeling. 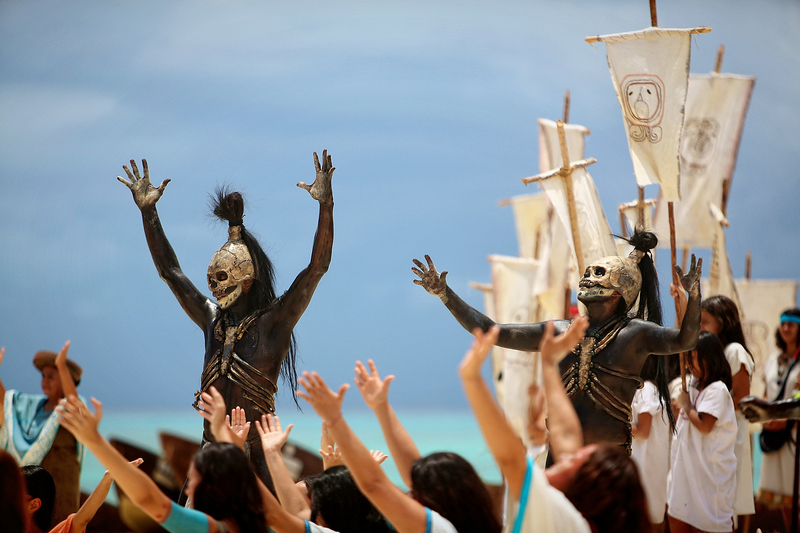 The gallery on land is in the mall, Plaza Kukulkan with 26 replicas. Glass bottom boat: This unique excursion offers a view of the ocean like you’ve never seen before! A perfect activity for all ages, you’ll be able to view the depths of the ocean without getting wet at all. Scuba Diving: You do not have to be certified, just take a lesson and enjoy the shallow waters of Manchones reef to see closely the sculptures of this gallery. 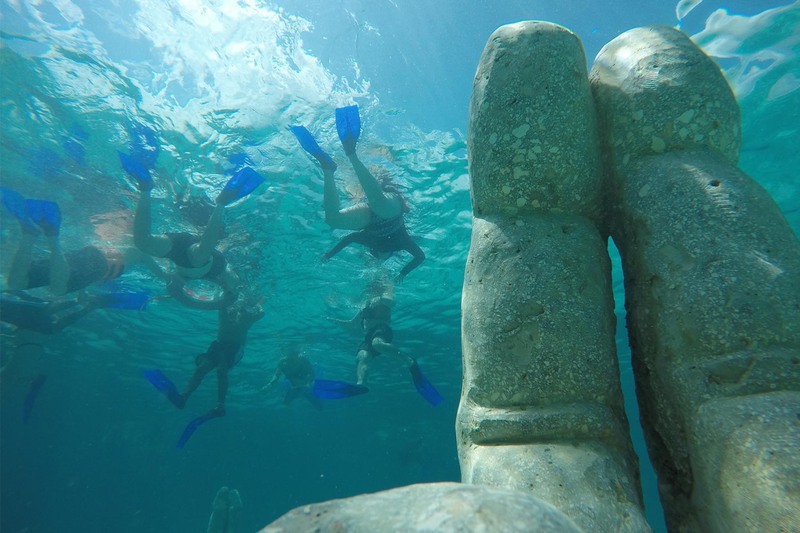 Snorkeling: This activity will take you to explore over 500 statues located in Manchones and Nizuc reefs. 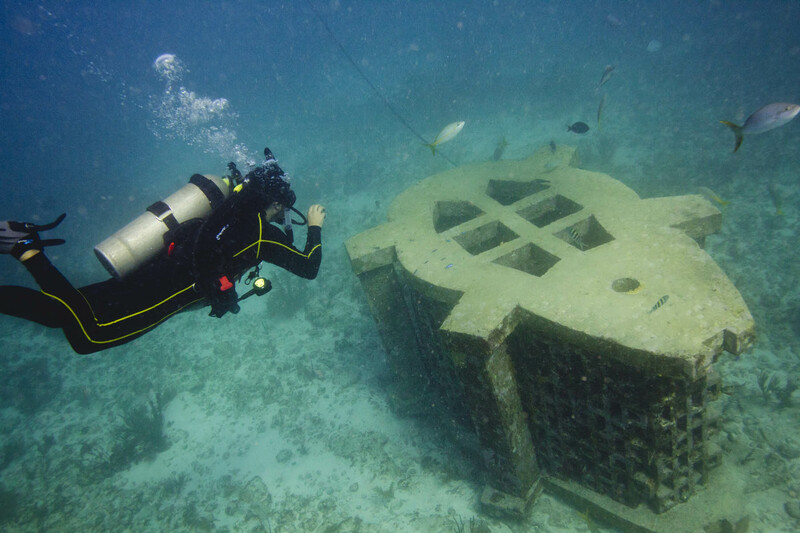 All the sculptures are fixed to the seabed and made from specialized materials used to promote coral life. 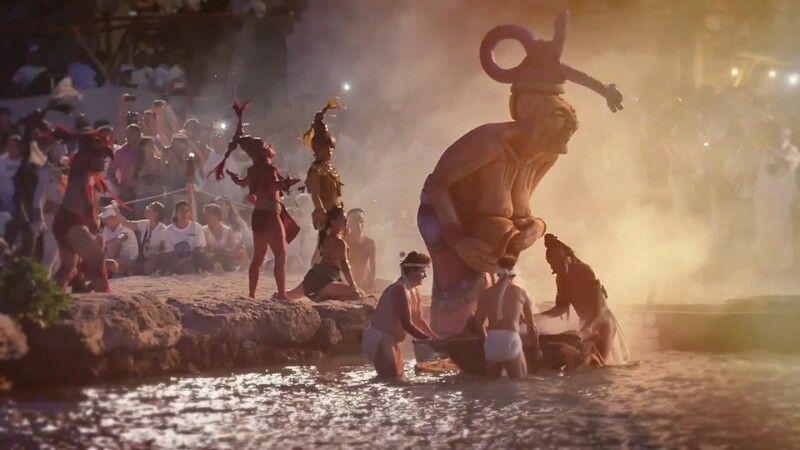 The Celebration of the Sacred Mayan Journey. 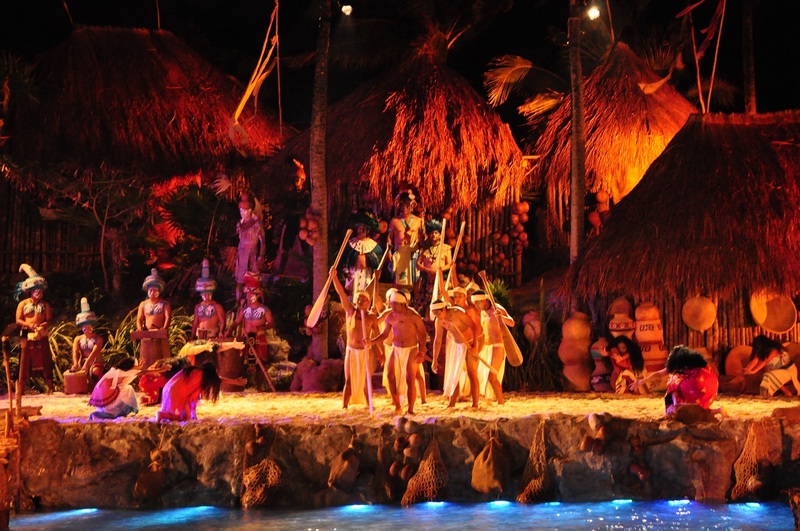 The Sacred Mayan Journey is an event in Xcaret Park, that recreates one of the oldest traditions of the Mayan Culture. 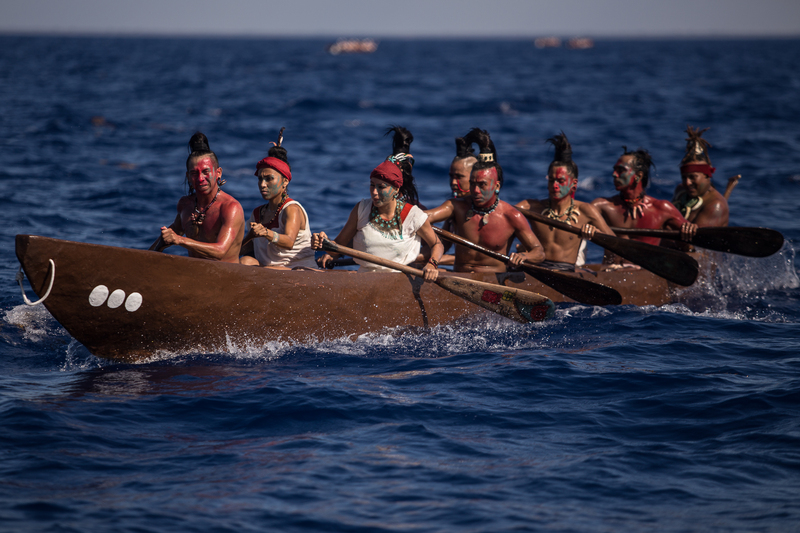 The Pilgrimage nowadays is performed by local people in canoes paddling towards the Cozumel Island to worship the goddess Ixchel with offerings in search of her divine message. Ixchel is the the ancient Maya goddess of fertility and healing. Ix means goddess of the feminine. Chel means rainbow or light. In other words, she is the goddess of the rainbow, and Lady of Sacred Light. She is always associated with bodies of water, lakes, streams, rivers and creeks. 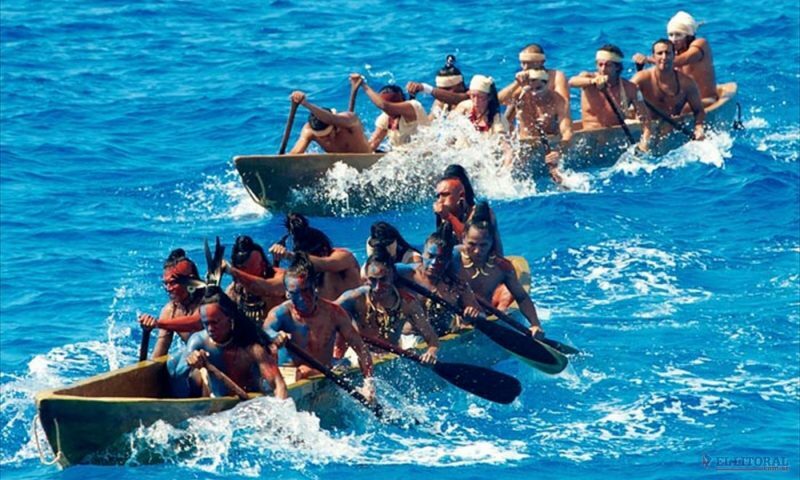 During 6 months the canoers prepare themselves physically and mentally to face the challenge of crossing the Cozumel Island to know the designs of the Ixchel Maya goddness. 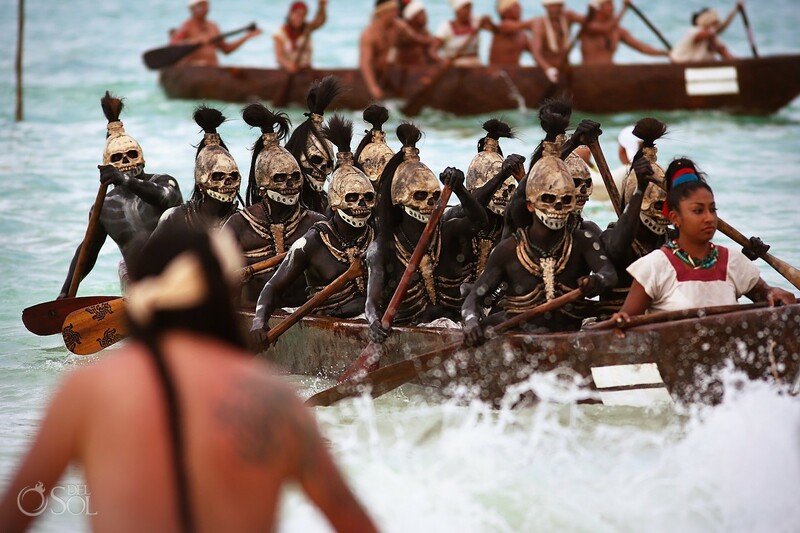 Their participation is voluntary and the motivations are varied: A promised to Ixchel looking for their own and or the couple’s fertility, working as a team, overcoming fears, learning to face adversities, among several others. 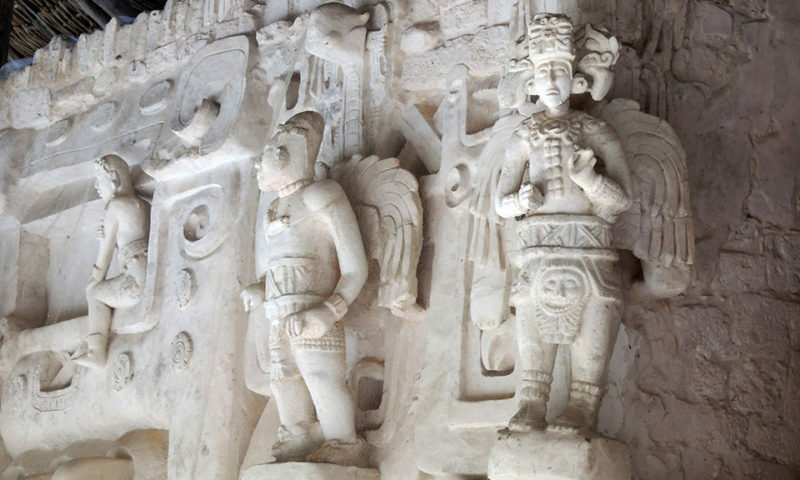 For the Mayans, this journey was a mystical undertaking in which they were profoundly affected by their intimate contact with the forces of nature. 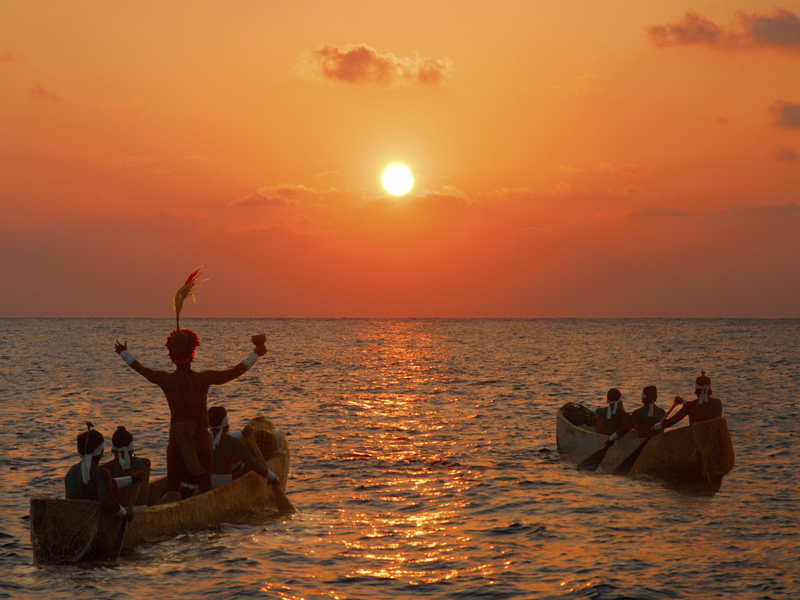 All night long, guests in Xcaret, participate in rituals and supplications to the goddess IXchel, as they wait for the first rays of dawn, when they send the canoes off to Cozumel. 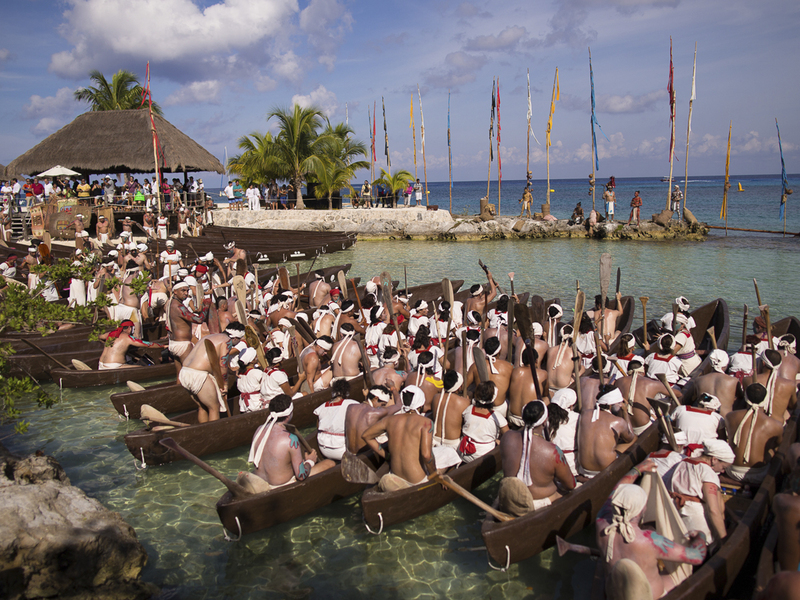 Do not miss the opportunity to participate and enjoy of this ceremony that is already a tradition at Xcaret Park. Weddings in Cancun and Riviera Maya. 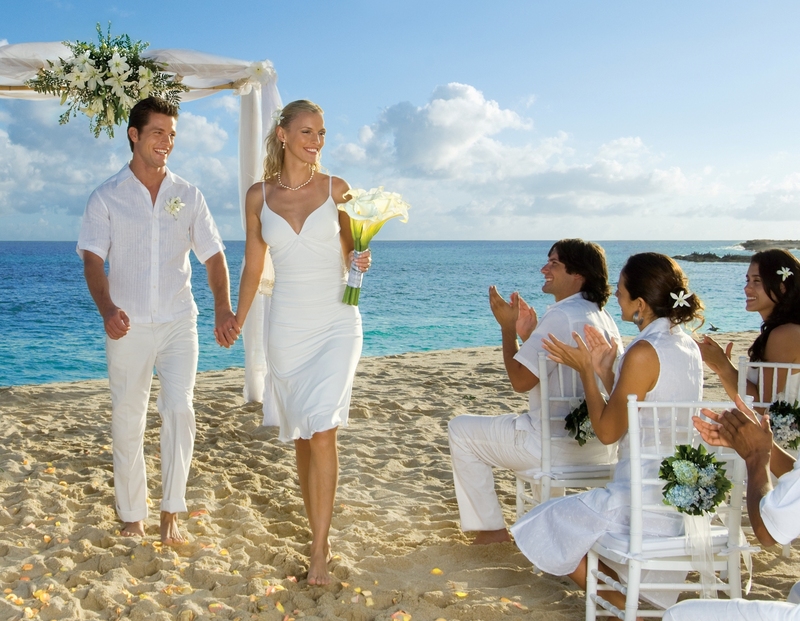 Get married in Cancun or Riviera Maya. 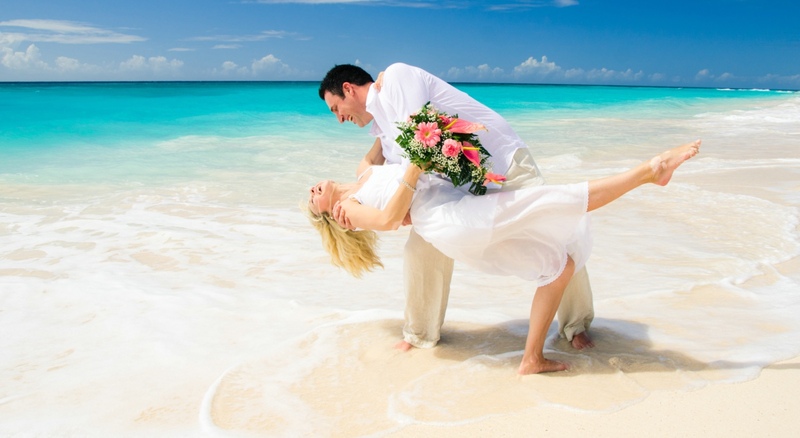 Cancun and Riviera Maya have quickly positioned as favorites destinations for weddings. 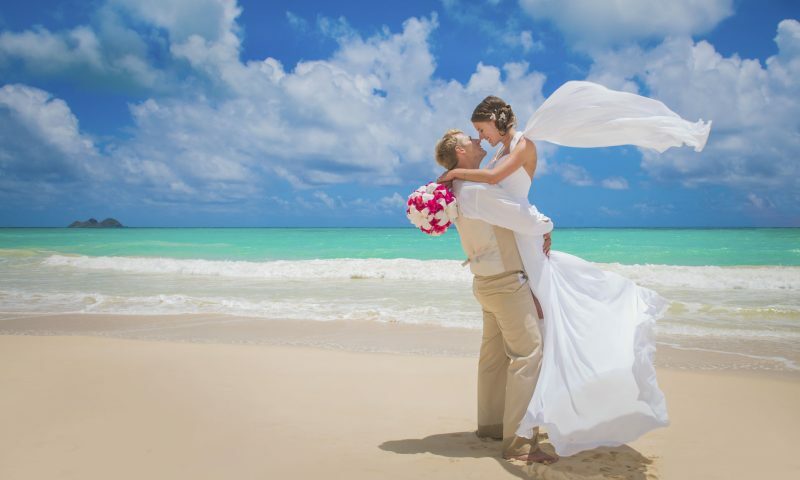 Both places have a wide variety of hotel chains and beautiful beaches to make the wedding of your dreams. Most hotels offer the full wedding service, which translate into the complete organization of the event. This way the bride and groom will not have to worry. The beaches of Cancun and Riviera Maya with its turquoise waters and white sand are perfect for a romantic and unforgettable wedding. Many times, aside of the transfer from the airport to hotel, other transfers are required to bring the guest from one place to another during the event. In this case you need a carrier which has the experience on this type of event with the right staff. REQUIREMENTS TO GET MARRIED IN MEXICO. Getting married in Cancun or Riviera Maya must be through a Civil Ceremony which is the only way to be recognized as legal in your home country. This ceremony is in Spanish conducted by a judge and translated to English by a wedding coordinator. 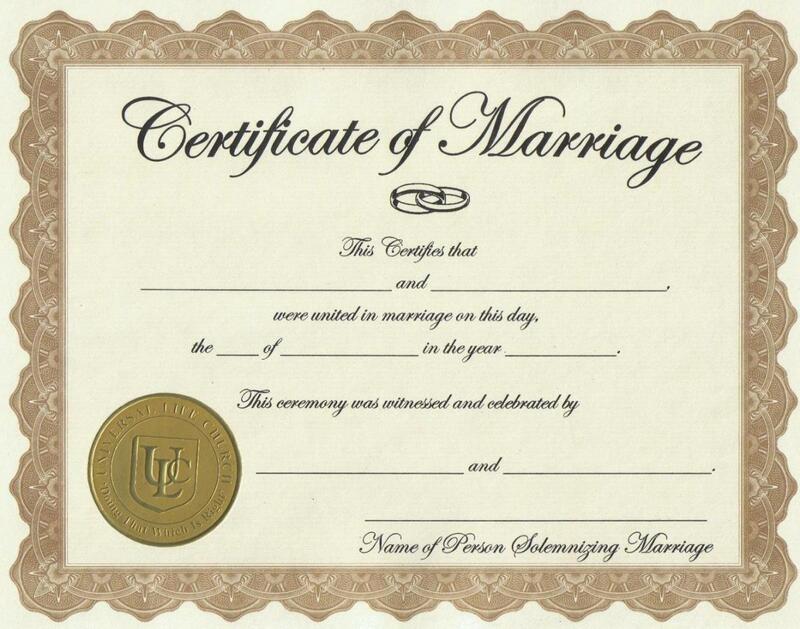 All the weddings certificates performed in the Caribbean needs to have the Apostille Seal. This procedure can be done by the Wedding Coordinator. VALID PASSPORTS: They are mandatory for a legal wedding to be performed. TOURIST CARD: The name on the tourist card and passport must be the same. This tourist card is provided on the plane before to arrive to Cancun’s airport. HEALTH CERTIFICATE: Is required for all legal Weddings Ceremonies in Mexico. SINGLE STATUS AFFIDAVIT: The document states that you are currently single and have no impediment to get married; this procedure is signed during the on-site meeting. WITNESSES: Legal Wedding Ceremonies require four witnesses. If the Wedding couple provides their own witnesses the following is needed. Activities and Places to visit near Tulum. Tulum is divided in two parts. 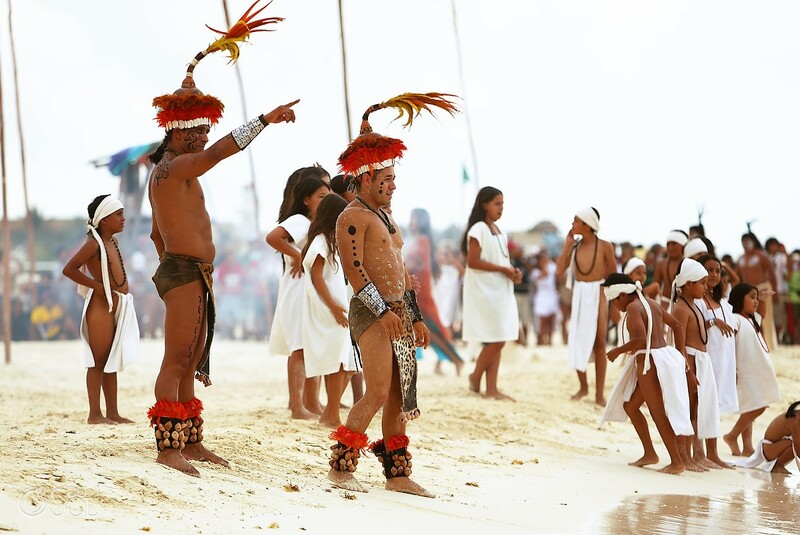 One is the famous and most visited archaeological site called Tulum and the other is the Village which has the same name or also is known as Tulum pueblo. Both are located 2km (1.5 mi) from each other. 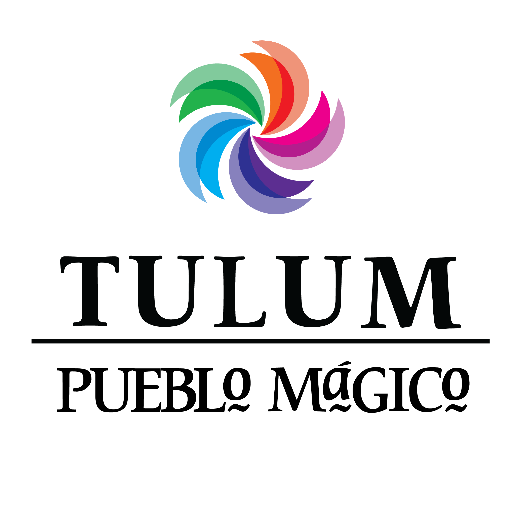 Tulum Pueblo Magico: In 2015 Tulum was declared as Pueblo Magico. A “Magical Village” is a place with symbolism, legends, history, important events, day-to-day life, in other words, “magic” in its social and cultural manifestations, with great opportunities for tourism. 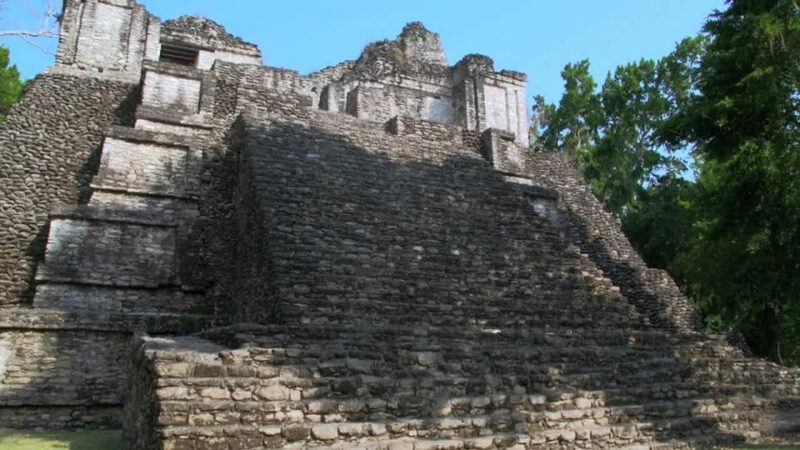 Archaeologicas Sites near Tulum: Besides the archaeological site of Tulum there are other important prehispanic deposits that are located in the vicinity of this place. 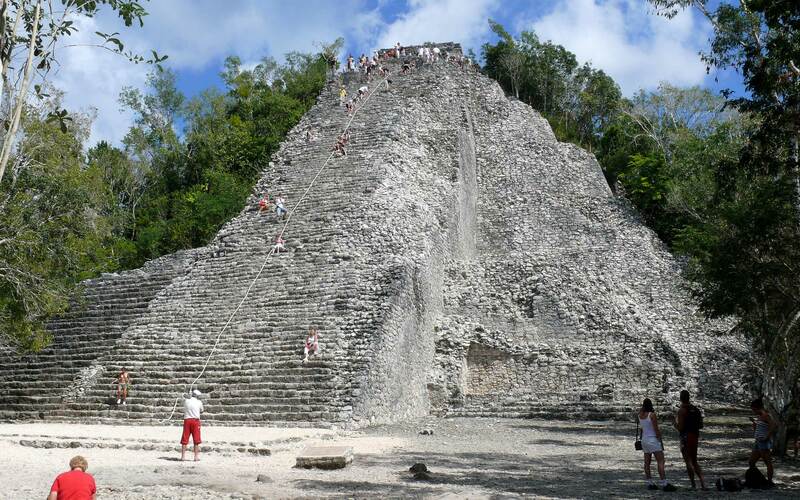 Coba is another archaeological site of the Mayan culture located 42 kilometers from Tulum and Muyil located 15 kilometers away. 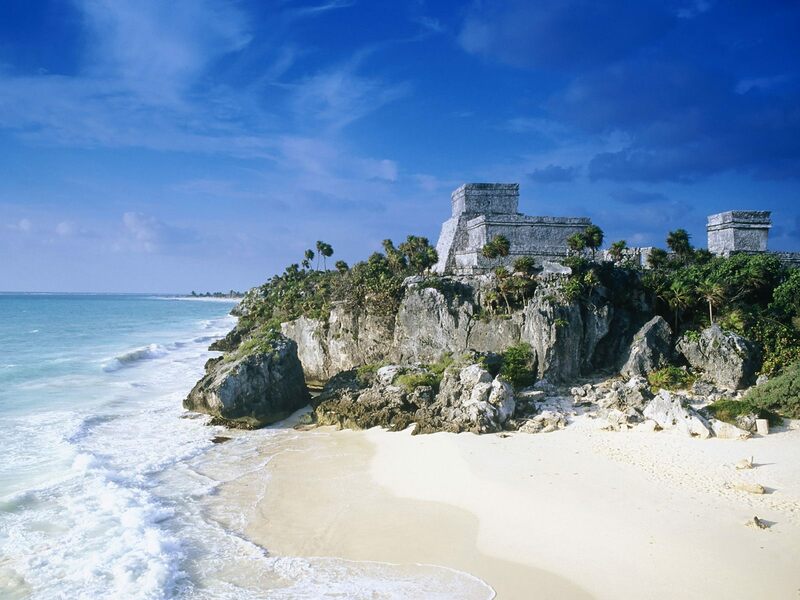 Tulum Beaches: The coastal area of Tulum has wonderful beaches excellent for resting and sunbathing. 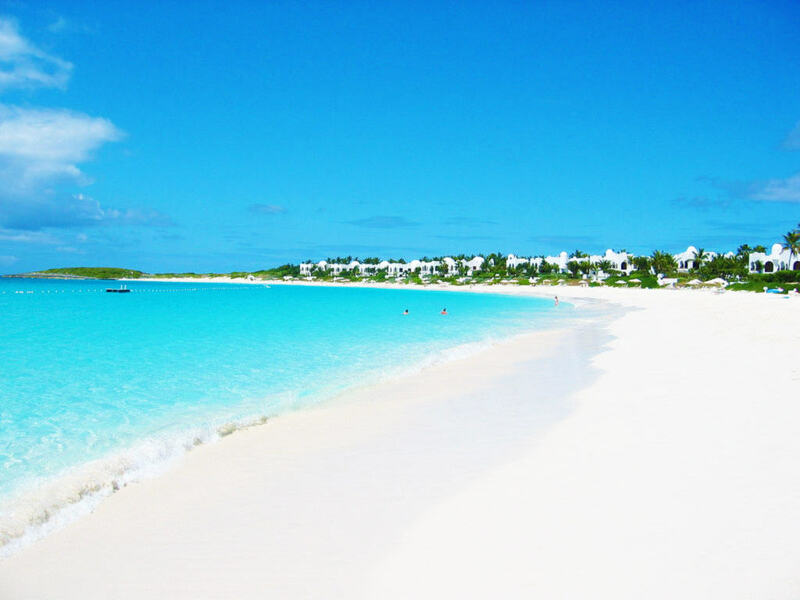 Its waters has a particular turquoise color that is not found in other parts of the Caribbean. 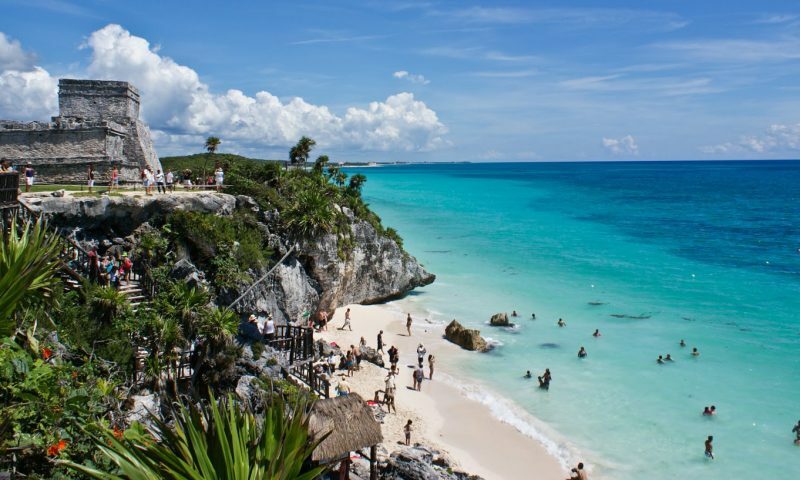 Near Tulum is one of the most beautiful beaches ever seen called Playa Paraiso. It is walking distance or you can take a taxi if it is very hot. 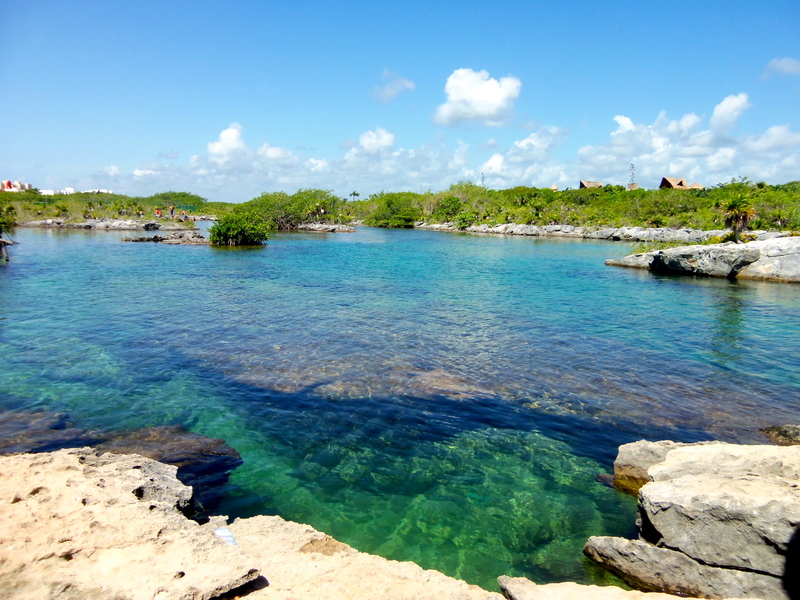 Another attraction in Tulum is the Eco Park Labnaha, where you can enjoy recreational activities like Zip Lines, Kayaks, and snorkel in the Cenotes (sinkholes). All this in an environment of dense jungle. 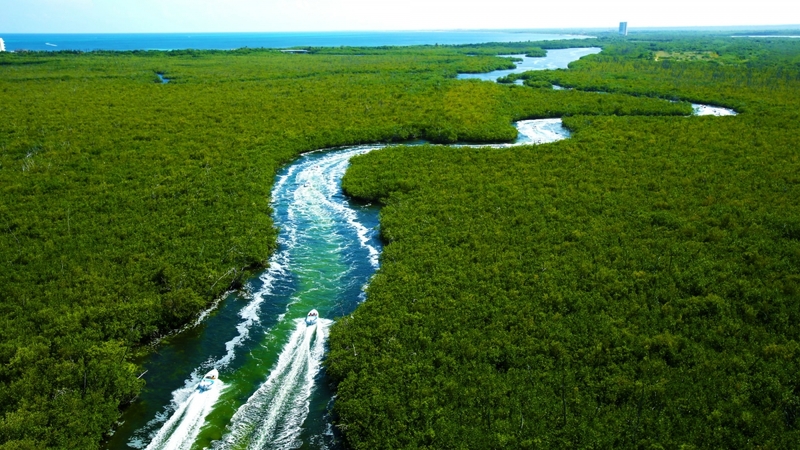 51 Kilometers from Tulum (32mi) is located the Biosphere of Sian Ka’an. This is a nature reserve declared by UNESCO world heritage site in 1987. It has a great variety of flora and fauna. 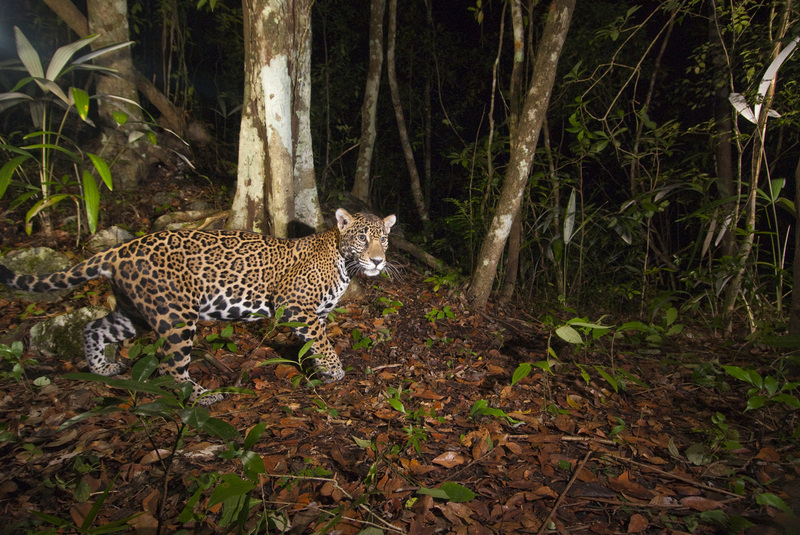 Among the species of fauna that inhabit this place are; Jaguar, monkey, puma, ocelot and many varieties of birds with exotic plumage. Also, it is home of many turtles that come to spawn. 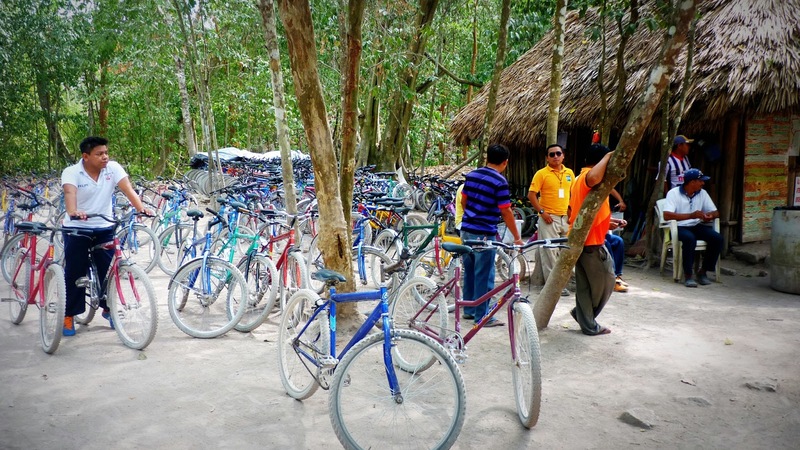 In the community of Tulum, bicycles are available for rent, and tour the surrounding areas, as well as take walks on the beaches. The landscapes, the starry nights, the bonfires and the wild environment that define Tulum are a real wonder that captivate those who travel to this Magical Village. The Mesoamerican Barrier Reef, is the second-largest in the world, and runs parallel the Yucatan Peninsula where Puerto Morelos is located. This barrier reef is closer to Puerto Morelos shore, than any other area of the Riviera Maya. 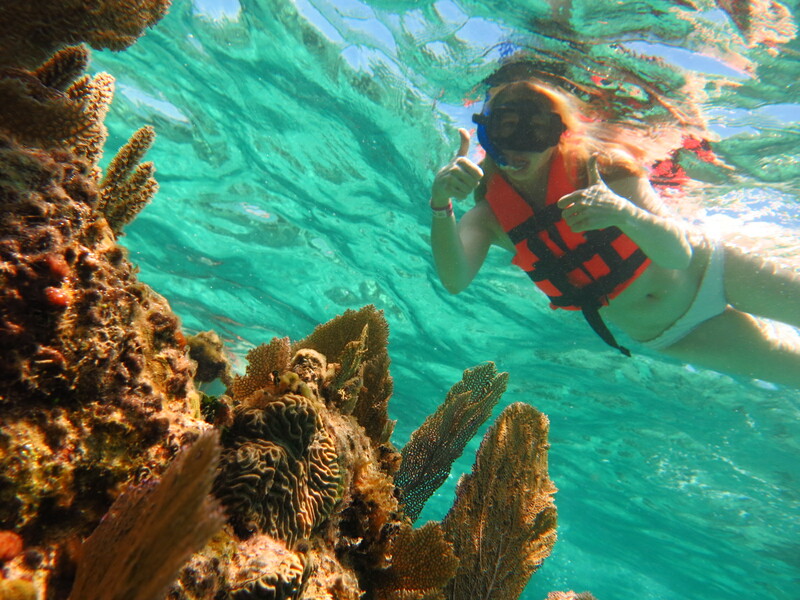 This is the reason why Puerto Morelos has become one of the best places to do snorkeling. 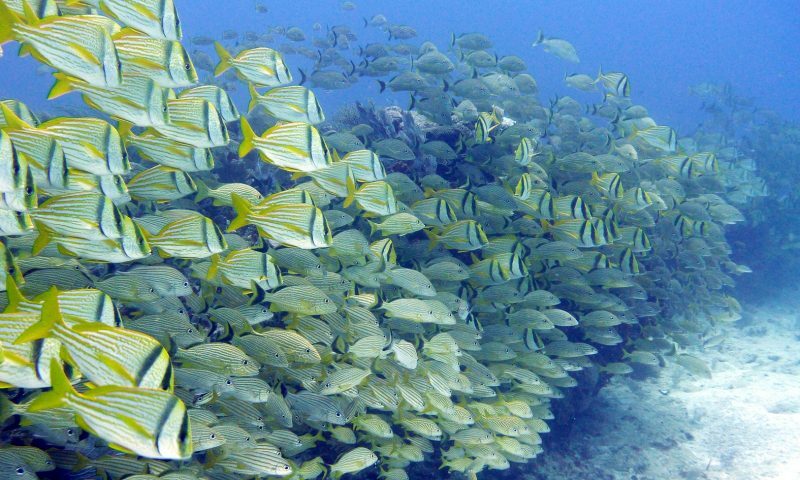 https://www.canadatransfers.com/regular-tour/morning-snorkeling/ In 1988 this section of the reef became a protected area, currently known as Puerto Morelos Marine Park. It is illegal to swim out to the reef from the shore. 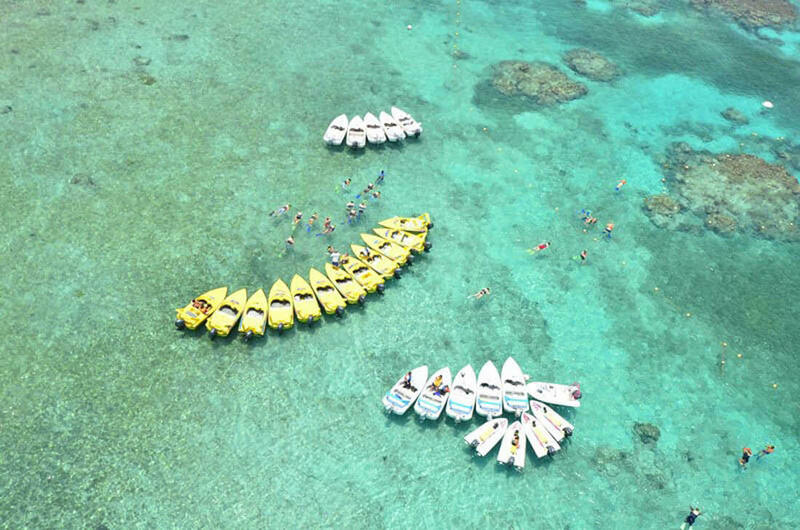 To protect the reef, all snorkelers and divers must go out to the reef with accredited guides and pay 5 usd extra for a reef tax per person that goes directly to the conservation of the reef. 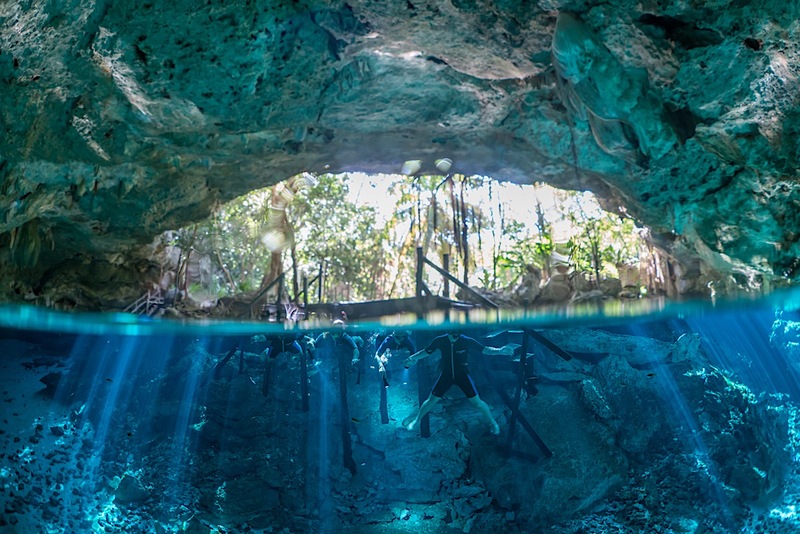 Cenotes are sinkholes through limestone, leading to flooded caves and beautifully blue fresh water pools. There is a road of 41km/25miles from Puerto Morelos to Leona Vicario, which is a small and typical village. Along this path known as the route of the Cenotes, are located some of them to visit and enjoy snorkeling or swimming in its crystalline and fresh waters. 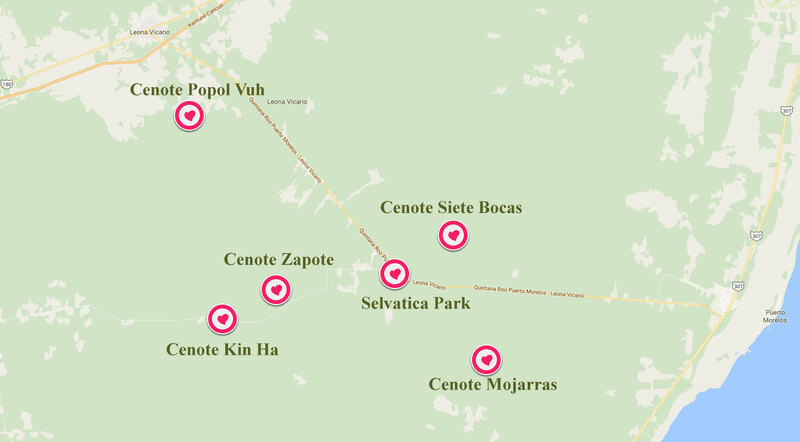 These are the names of some of them: Cenote Mojarras, Cenote Boca del Puma, Cenote kinha, Cenote Zapote, Cenote Siete Bocas, and Cenote Popol Vuh. 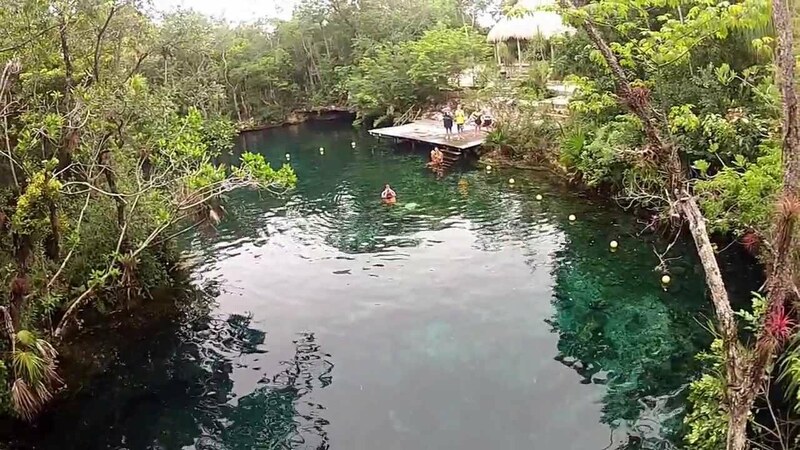 Nowadays locals and visitors alike love the fact the Cenote’s water is cool, providing refreshing relief from the hot, especially on the humid summers. 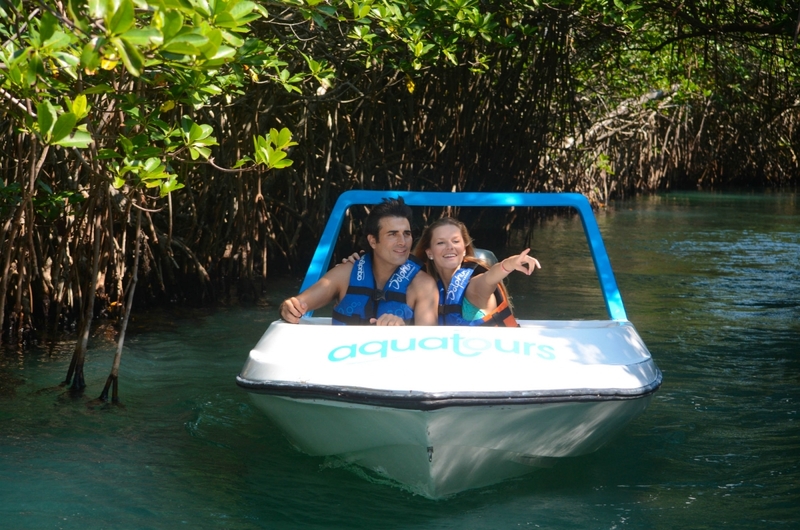 The jungle tour in Cancun has been for a long time, one of the most famous and fun activities to do in this beautiful place. 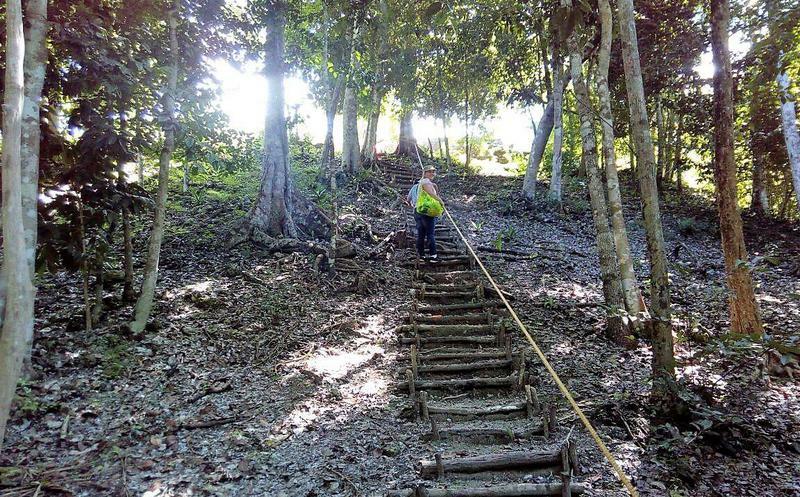 This jungle tour is designed for those people who do not want to spend an all-day tour. The duration of this activity is only two and a half hour. Usually they have three daily departure times which are 9:00am, 12:00, and 3:00pm. 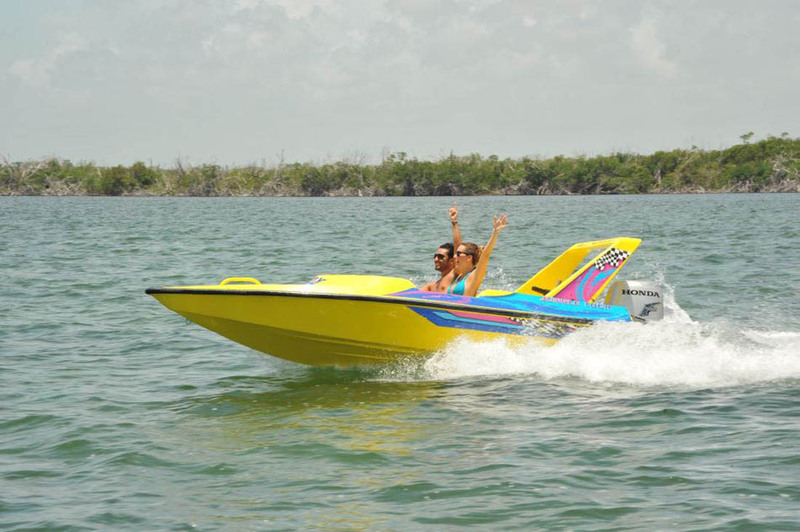 For the jungle tour in Cancun they use speed boat with capacity for two people and limo speed boat for 4 people. 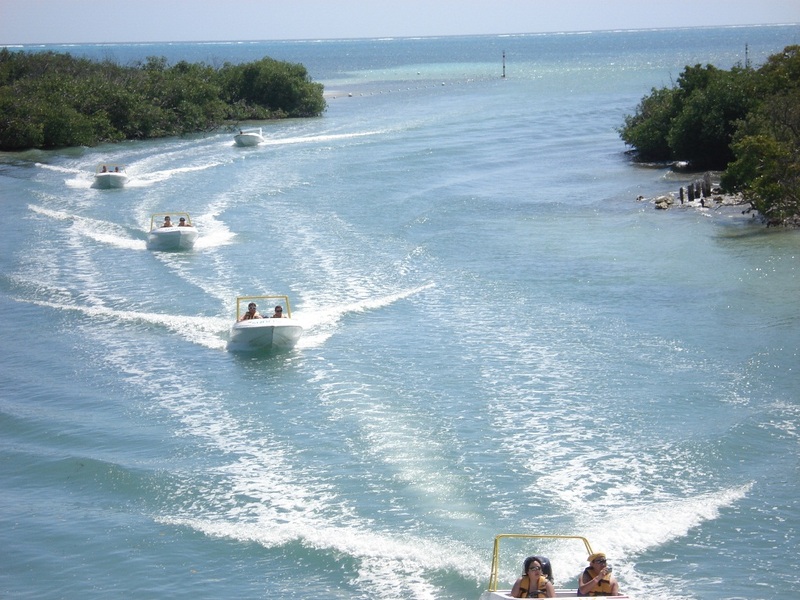 The ride is on the lagoon passing through the canals and mangroves, while observing the lagoon’s flora and fauna where live frogs, iguanas, white turtles, crabs and different species of wild birds. This is a guided activity with staff of the marina, who will help you during the whole trip. It takes approximately 45 minutes of crossing the lagoon to go out to the sea and reach the coral reefs area named Punta Nizuc which is very famous for its abundance of sea life, with great variety of multicolored fish. In this place is where you can practice snorkeling for about 30 minutes. The whole set of snorkeling equipment is included as well as the life jacket. 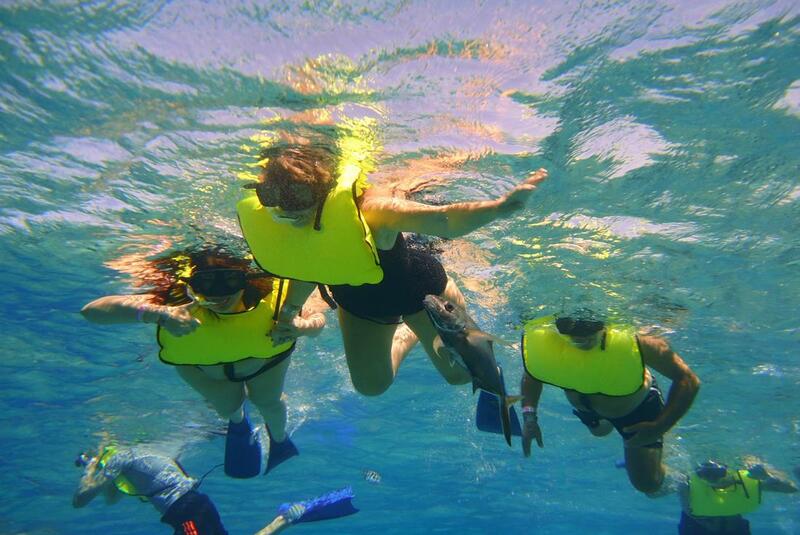 The snorkeling instructors will be glad to assist all the beginners. This tour is highly recommended for its short duration and economic price. Canada Transfers offers this activity and you can book it with us. 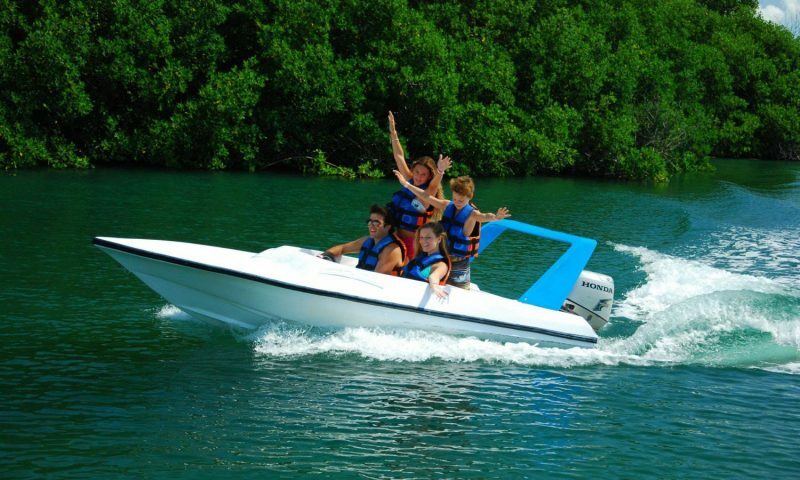 https://www.canadatransfers.com/regular-tour/jungle-tour/ If you are in Cancun for vacations do not miss this exciting adventure. Akumal means in Mayan language Land of turtles, and for a long time was the best place to swim with these species for its shallow and clear waters. Since February 15th 2017, the swimming with the turtles in Akumal was prohibited. There were several causes that gave rise to this situation. Actually the laws of protection to the environment in Mexico has regulated the rules and laws to carry out this marine activity. In the past any company or group of persons without the corresponding permission could do this activity causing damage to marine life and disturbing the habitat of the turtles. The people did not use life jacket and they used fins damaging the reef. They touched, grabbed and chased the turtles, without leaving them alone. Now, all these things are not allowed anymore. New rules for swimming with the turtles. Be respectful to the turtles without touching or chasing them. The use of sunscreen must be biodegradable. 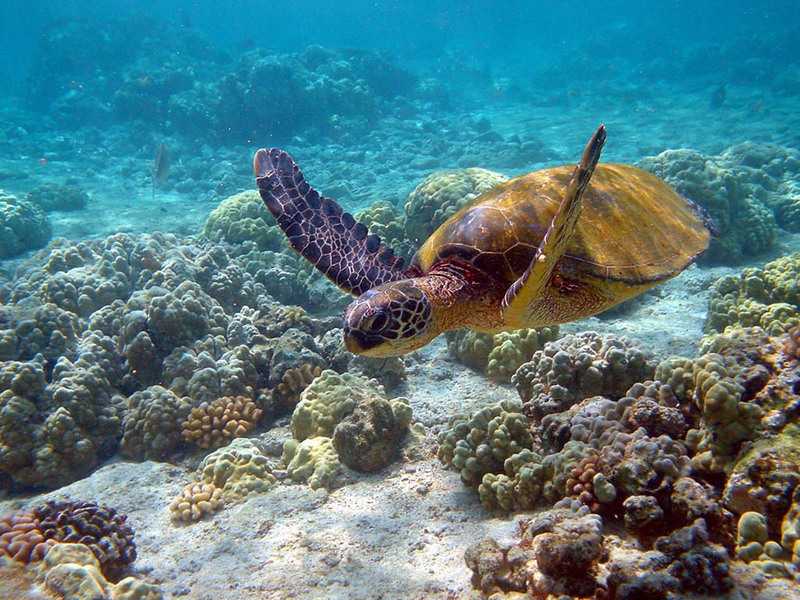 Until the elaboration of this article, the swimming with the turtles in Akumal continues suspended until further notice. 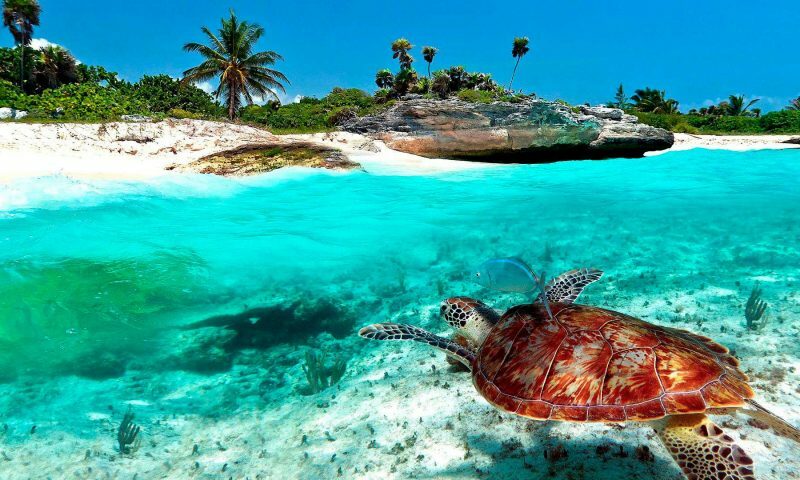 However there is another place named Yalku which is a beautiful lagoon near Akumal where it may also be possible to swim with turtles. There are agencies authorized and regulated by the Mexican law of protection to the environment to offer this service to the tourists. In case you want to visit Yalku on a private van transportation, one of the recommended options is Canada Transfers. https://www.canadatransfers.com/ with a reliable service and experience.